Vintage lamb vest. It features vintage lamb on both front and back yokes. 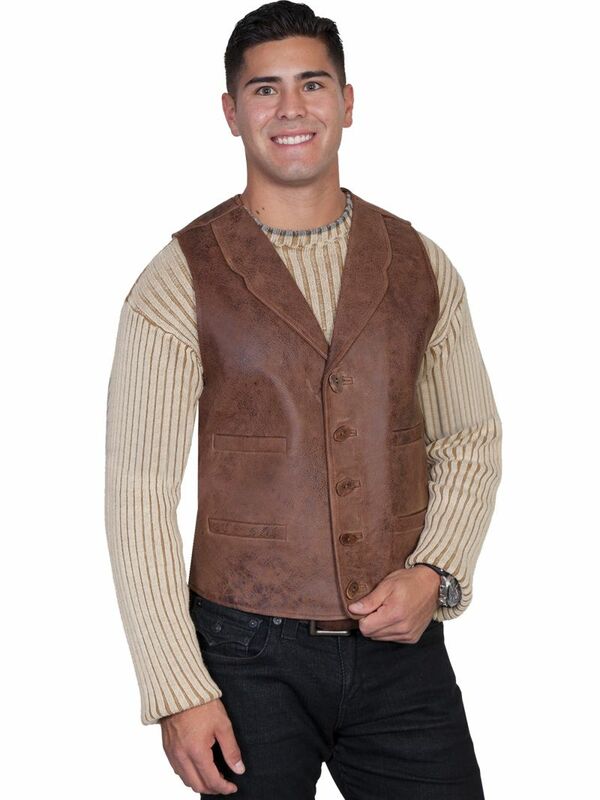 A four welt pocket vest with a five button front closure and notched lapels. The back features a vintage lamb yoke with a canvas back and an adjustable back strap. Lined with an inside pocket. Import.